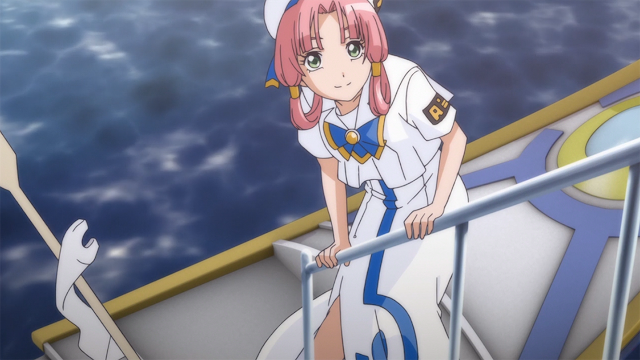 Aria the Avvenire: an extension to the Aria franchise, but most importantly, a gift to the fans who enjoyed the franchise in its entirety. More than a decade ago Aria the Animation made it’s debut, and was well received by the majority. The addition of Natural and Origination brought the franchise to a whole new level and elevated my personal view of what the “gold standard” in anime is. Having said that, unfortunately the addition of Avvenire is only a three part special, but even so, those three episodes were everything... and more. Avvenire takes places a few years after Alice, Aika and Akari were promoted to Undines where they're mentoring their now kouhais, Ai, Azusa and Anya, in the mystical land of Neo Venezia. Avvenire brings a good mixture of stories from Akari's generation, the Water Fairies and the new generation, with very familiar forms of storytelling we've seen with the other three installments. No complaints here with any of the episodes; the tone and vibe these specials gave off was exactly what I expected from the Aria franchise. Although produced by a different studio than Animation, Natural and Origination, I liked how Avvenire didn't just shove the new generation of gondoliers down our throats- which I originally was expecting. It's a good mix of short stories using all three generations of the gondoliers, which I enjoyed. Let's not forget about the best aspect of Aria are those cats! Aria sachou and his antics on the side were amusing and a nice reminder as to why he's the #bestCat. That scene where Maa sachou, who grew A LOT, gave Aria sachou a good chomp to the stomach just reminded me how much I missed Aria. The sound was pretty much consistent with what we'd expect from Aria. If anything I'm almost 100% sure that the OST is exactly the same. Which I might add the Aria OST is one of the best OSTs in anime. Not for nothing but the soundtrack is so soothing and the music is very, very serene. Now one of the noticeably big differences between Animation, Natural and Origination in comparison to Avvenire was the animation. No comparison that Avvenire puts it's predecessors to shame- the animation of Avvenire is simply amazing. Everything to the stills, the buildings, the backgrounds, the water, the gondolas, etc... elevated to 2016 standards...haha. 2D animation is pretty much dominant in Avvenire with a touch of 3D when it comes to the animation of the water and fixtures in the background. With all of that being said, it's sad to say but Avvenire is most likely the last chapter in the Aria franchise. Given what these three episodes unraveled, the final episode pretty much says it all- it's a bitter sweet goodbye to the Aria franchise. Out of everything Aria had to offer, the Origination installment is by far my favourite anime ever. However to end this on a good note Aria was a really simple, relaxing, soothing and nice anime; it's the antithesis of what usually grabs your attention. Sure the anime can be perceived as boring to others, but to me, it's a good series to watch when you just want to sit back and relax.